With the rising trend of getting inked, laser tattoo removal has never been more popular. We have just upgraded our laser to the most powerful Q-switch laser on the market, and we are the only clinic in Cairns offering Fractat- the latest advancement and best technique for fading tattoos faster. Don’t trust just anyone with your tattoo removal – come to a trusted medical clinic with professional staff and the best equipment. Advancements in the cosmetic industry are hard to keep up with, technologies and our knowledge are improving all the time. With these advancements come innovations in the way we perform our treatments. Fractat is the most advanced method of laser tattoo removal, and we are the only clinic in Cairns offering you this service. Our newly upgraded Fotona laser is the most powerful Q-switch laser on the market. It has an extra handpiece that allows us to perform an additional step to make our treatments more effective at removing tattoos. This technique is practiced by leading Professor Leonardo Marini in Italy, and he has written a paper on just how effective Fractat is. Read the article by clicking the link at the bottom of this page. 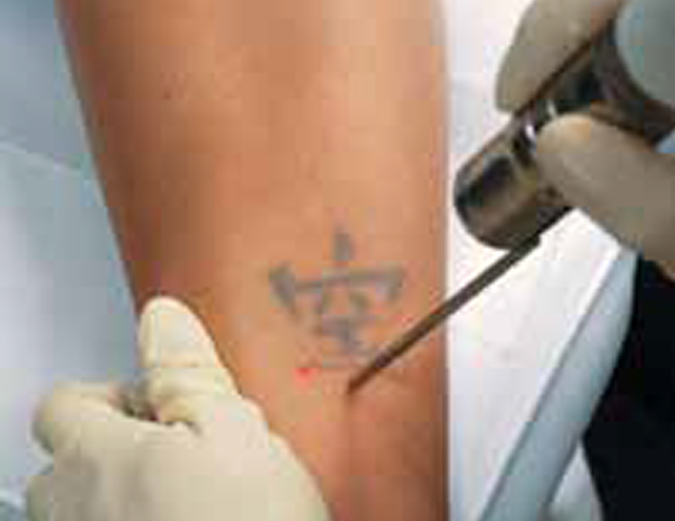 Removing tattoos is a complex process whereby the ink is shattered by a very powerful Q-switch laser. This shattered ink is then gradually removed from the skin via our lymphatics system. This means that your tattoo will continue to fade for several weeks and months following your treatment. Tattoos take multiple sessions to remove, but there is no doubt that they are removed faster with Fractat. This is because before we shatter the ink particles with our Q-switch laser, we use a fractional handpiece to drill micro-columns into the skin. This allows us to then use higher settings in our treatments and fade your tattoo ink faster. Want more information? Read our webpage on laser tattoo removal. To read Professor Marini’s paper on Fractat, click here.